Spinal cord disease that is characterized by inflammation of the white matter or gray matter of the spinal cord. During an inflammatory response in the spinal cord, the myelin and axon may be damaged causing symptoms such as paralysis and sensory loss. Dysphagia refers to a difficulty in swallowing – it takes more effort than normal to move food from the mouth to the stomach. Orthostatic hypotension — also called postural hypotension — is a form of low blood pressure that happens when you stand up from sitting or lying down. Orthostatic hypotension can make you feel dizzy or lightheaded, and maybe even faint. Lymphedema is a condition that results from impaired flow of the lymphatic system.Symptoms of lymphedema include swelling in one or more extremities. The swelling may range from mild to severe and disfiguring.Primary lymphedema is present at birth; secondary lymphedema develops as a result of damage to or dysfunction of the lymphatic system. 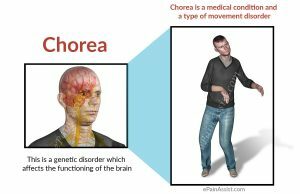 Chorea is a movement disorder that causes involuntary, unpredictable body movements. 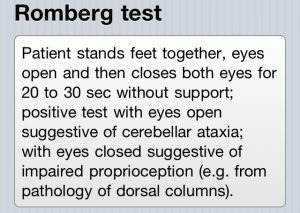 Chorea symptoms can range from minor movements, such as fidgeting, to severe uncontrolled movements of the arms and legs. It can also interfere with speech, swallowing, posture, and gait. Homonymous hemianopia is a visual field defect involving either the two right or the two left halves of the visual fields of both eyes. 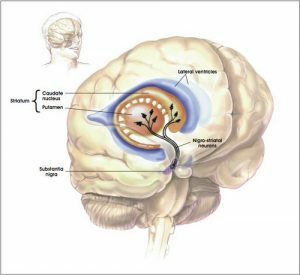 It is caused by lesions of the retrochiasmal visual pathways, ie, lesions of the optic tract, the lateral geniculate nucleus, the optic radiations, and the cerebral visual (occipital) corte. Tremor is an unintentional, rhythmic muscle movement involving to-and-fro movements (oscillations) of one or more parts of the body. It is the most common of all involuntary movements and can affect the hands, arms, head, face, voice, trunk, and legs. tremor is not life-threatening. FITNESS & SPORTS REHABILITATION SPECIALIST. Previous PostPrevious CINNAMON!! NATURE’S GIFT.